Sizing: XXL-Plus 62-80" Waist/Hips, Weight: 250+ lbs. 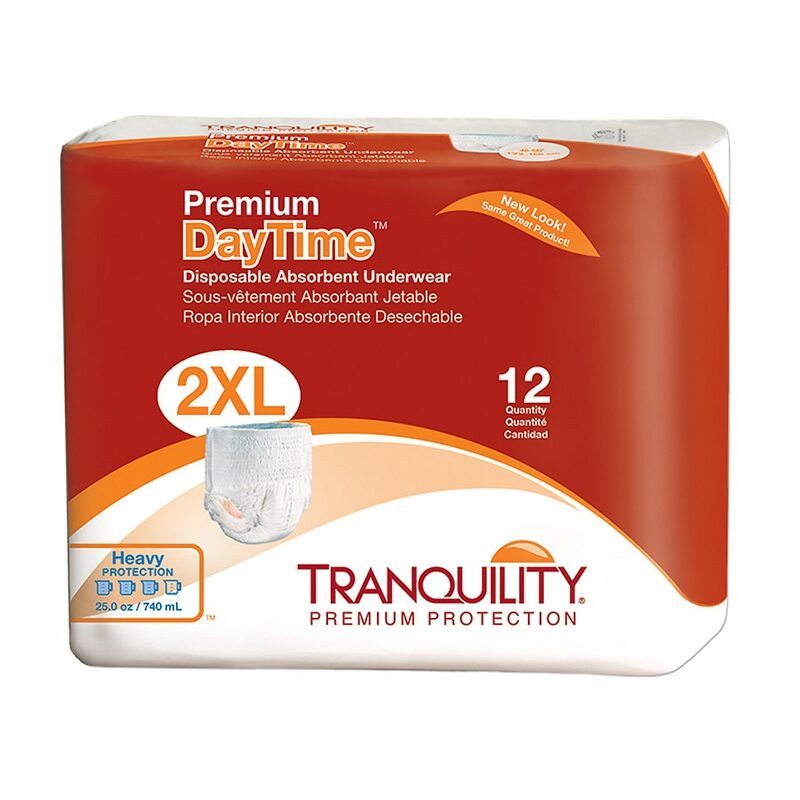 Guaranteed performance ensures confidence and comfort during active daytime hours. The Peach mat absorbent core guarantees skin dryness, odor control and pH neutralization. Tear-away side seams allow for easy removal. Kufguards® (inner leg cuffs) protect against leakage.